This is the first lesson for our Modified Daniel Fast Challenge. Ladies, I want to give you some exercises to help you go deeper into your wellness journey and deal with thought and emotions. These exercises will help you do just that. You will need paper and pin or just a computer (Word/Textpad) so that you can record your answers for review later. Don’t overthink your answers. Just go with your heart and what is really true. 1. You are committed to changing and simplifying your eating habits this month. What are the top 3-6 foods you think will be the most challenging to let go of? 2. Why is it so hard to let go of those foods? Consider these questions and write down your response. What do they mean to you other than just nourishment for your body? What do they symbolize? What do you feel when you think about giving them up? Anxiety, Pressure, Pain, Sadness…? Do these foods hold a connection to the past? An event, passing of a loved one, special day, way of coping with an event…? 3. You know that you will benefit from changing your eating habits and adopting a healthy way of life. What are the feelings and emotions you have when you think of the positive benefits of eating healthy? What positive changes can you see happening to you? Write down 4 or more benefits that you would like to see manifest in your life. 4. 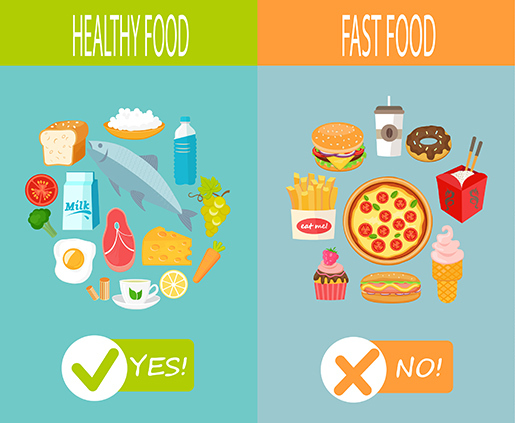 What do you want more, favorite foods or a healthier life? This is the question you need to ask yourself each time you eat. Do you want that donut for than you want the freedom from dieting? Do you want that bread more than you want to be free from diabetes? Do you really want that ice cream bad enough to continue the cycle that makes you cry when you are alone because your weight is out of control and you don’t like yourself? ACTION STEP: When you have a craving or want to get off of our Modified Daniel Fast this month, I want you to just pause and take 60 seconds to think of all the things that you are forfeiting if you disregard your commitment to this plan. Then take 60 seconds to think about all the things you will gain if you stick with a healthy eating plan for life. By doing this you can start to retrain your brain to not only consider what you want in the moment, but also what you really want your life to be. What has to happen for you to succeed is that you have to come to terms with the emotions and strong feelings you have around foods that you need to stop eating. You have to learn to value the benefits of eating healthy more highly. Food should be nourishment, not emotional medicine or a crutch to help us get through a bad situation. That just creates unwanted emotional eating, weight gain and dependence on a chemical substance. If we were dependent on or felt that we couldn’t function without crack or alcohol, that would clearly be an addiction with a clear action plan to kick the habit. Food isn’t seen that same way, but we all know how our eating habits can wreck havoc on our self esteem, health and even relationships. It is time to take new steps for a new outcome! I completed the exercise, and it does help you to see in black and white what is truly going on with you internally. How much of the foods can we eat that is listed on the Daniel Fast? I’m so glad that you did the exercise and got something out of it. I didn’t list a specific calorie count limit because each person is different. I would suggest that you check out myfitnesspal.com or http://iifym.com to get an idea of the right amount of calories and nutrients. Then I would suggest you login your foods on My Fitness Pal or the Loseit app to see how close to those numbers you are. I am all in for this challenge, thanks… be blessed! Can you have a baked potatoes, what about peanut butter? What about butter spray or sprinkles? I want to get to the point where I know every health benefit or nutritional value of everything I put in my mouth. I want to eat to live and not live to eat. I need to change my thinking constantly to be aware of what I’m eating and why. I’m with you sis, that’s my mindset too! Miracles and blessing ladies. I am committed to making this work. I just turned down some real Russian milk chocolate brought to me from Russia. I want a healthier life. I’ll give it a go. It’s now or never. I will be 51 on the 28th of this month, and want much to become a more healthy eater. My goal is to lose about 20lbs, on my 5’11 frame and keep my blood pressure down. I just weighed myself this morning and I am 217.8 lbs. This is God trying to tell me something. Thanks! Wow! This is a powerful exercise. I just stumbled across this challenge today and I am in. I’m so glad to hear that. Pass it on!